intraMIN, 59ml, travel size is a convenient way of bringing your intraMIN to work or on short trips. It’s also a great way to try intraMIN for the first time if you’re not sure you’ll like the taste. intraMIN travel size (59ml bottle) is 100% organic liquid trace mineral supplement has 70+ trace minerals fueled by intraCELL Technology. This rapid absorption and ultra-chelated, ultra-tiny formulation provides near perfect infusion of necessary minerals to the cells. Super hypo-allergenic, preservative free. Carbon-bond organic micro-complexes found in intraMIN may provide support for the body in a variety of ways. Proper balance and composition of body pH, poly-electrolytes and fluids. Supports healthy blood and bones by the building and repair of muscles, tissues, joints, ligaments and tendons. Provides proper activation and assimilation by our bodies of other vitamins, minerals, amino acids, and enzymes. Reduces free radical damage to our cells slowing the aging process and providing support for the immune system. 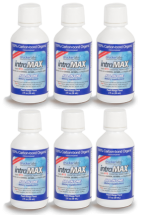 Provides proper detoxification of inter-cellular metabolic wastes. Why do so many doctors recommend intraMIN? Builds and repairs muscles, tissues, joints, ligaments, tendons, etc. Proper assimilation by our bodies of vitamins, minerals, amino acids, enzymes, glycogens, etc. Increased healing and repair time of injuries, bruises, scars, illnesses (both acute and chronic), surgeries, colds, flu’s allergies, etc. 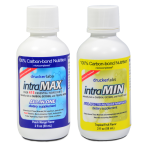 DR Drucker also believes intraMIN with organic, Homeostatic Soil-based microcomplexes provides our bodies with maximum energy, strength and stamina!